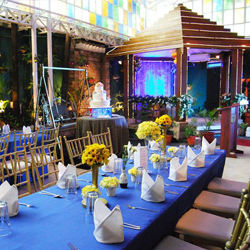 Davao was able to prove that it has what it takes to be considered as the one of the country is finest wedding destinations during the fourth leg of the Kasalang Filipino 2014. 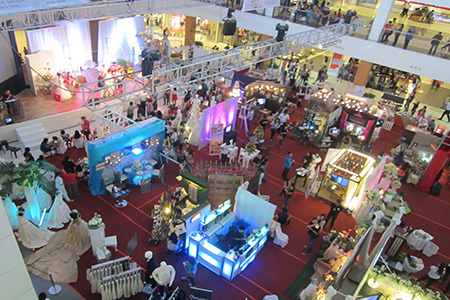 Held at the Abreeza Mall from July 25 to 27, Kasalang Filipino sa Davao once again provided an avenue for the local wedding suppliers to showcase their talent and creativity through the wedding fair and exhibit. 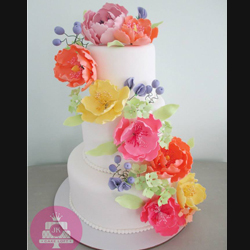 Wedding suppliers belonging to different categories participated in the said bridal fair. Each of them came up with a creative booth and rubbed elbows with both couples and guests for three days. 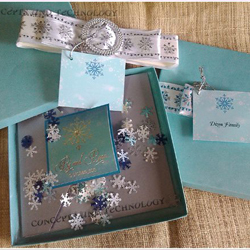 These suppliers also offered special promos and discounts for the couples who booked in the duration of the event. 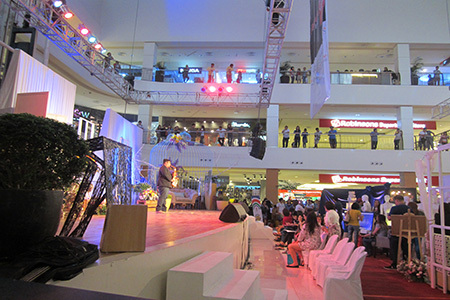 The event officially opened through a program held on July 25, featuring the representatives from Abreeza Mall, Kasal.com, and ABS-CBN Regional Network Group. The said program was attended by exhibitors, couples, and media. 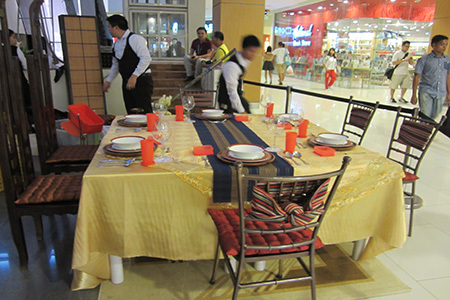 Furthermore, it was made more exciting through the special numbers rendered by some Davao talents. 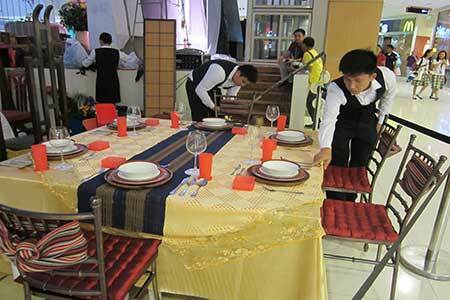 Apart from the wedding exhibit, several activities spiced up the said event. 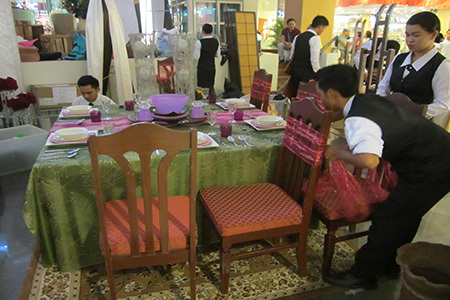 On the first day, Tupperware Brands Philippines held another edition of Tupperware Weddings: A Wedding Table Presentation Competition. Five teams of HRM students accepted the challenge and came up with their very own wedding table presentation using Tupperware products. 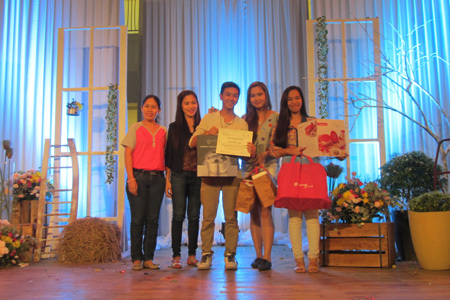 Holy Cross of Davao College Team B won the Most Creative Award after earning the highest score based on the criteria set by the sponsoring company. Meanwhile, Davao Doctors College dominated both ballot and online voting and won the Most Popular Award. Each of the winning teams brought home PhP25,000 worth of Tupperware products, on the top of PhP3,000 worth of E-GC from Ayala Malls. 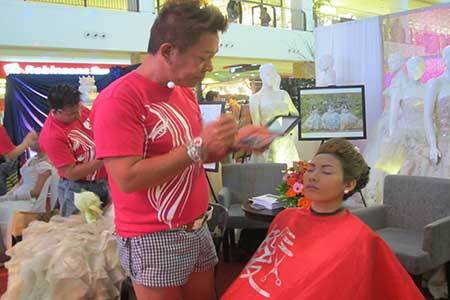 Ever Bilenais Gandang Pinay Bridal Makeup Competition took place the next day, July 26. Both amateur and professional makeup artists battled for the grand prize by coming up with a bridal look showcasing true Filipina beauty. The event closed with a program on July 26, where each of the exhibitors was recognized and given a certificate of appreciation. The awarding for the Tupperware Weddings was also done during the said program, followed by the raffle draw where a number of couple won special gift packs and gift certificates from the sponsors. Kasalang Filipino sa Davao was the fourth leg of Kasalang Filipino 2014, the 9th run of this nationwide bridal fair and tourism roadshow. 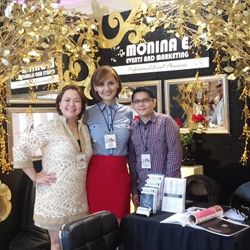 Kasalang Filipino works with the different key cities in the Philippines and gathers the hottest wedding suppliers in the country to promote the local wedding industry. It also helps to-be weds from the participating cities to widen their horizons and learn about the different choices to choose from as they plan for their wedding. The participating cities for this year are General Santos, Angeles (Pampanga), Subic, Davao, Cagayan de Oro, Bacolod, Imus, Manila, and Cebu. 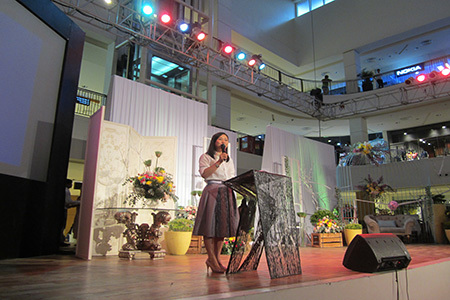 This year's Kasalang Filipino sa Davao was presented by Kasal.com, the Essential Filipino Wedding Guide; ABS-CBN Regional Network Group; and Abreeza Mall. This event was made possible by Goldilocks, Ever Bilena Cosmetics, Tupperware Brands Philippines, Inc., PH Care, and Wedding and Portrait Photographers of the Philippines. Our media partners included ABS-CBN Regional Network Group, My Only Radio, Lifestyle Network, Metro Weddings Magazine, Metro Home and Entertaining, Food Magazine, The Manila Times, and Business Mirror. Kasalang Filipino 2014 was also supported by local sponsors such as Camp Holiday Resort and Recreation Area, The Venue Party Boat, The Royal Mandaya Hotel Davao, David & Rachel Boutique, and BIG 8 Corporate Hotel. For more information about Kasalang Filipino national wedding & tourism fair roadshow, please call (02) 414-3596, 415-9249, email kasal.com@gmail.com or visit www.kasal.com. Like Kasal.com on Facebook - www.facebook.com/kasal.com.